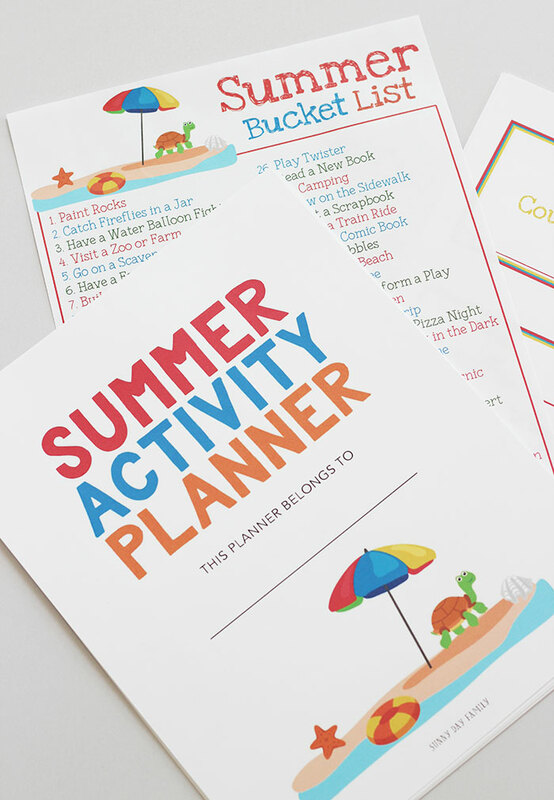 This printable summer planner is perfect to organize all your summer activities! Why does it feel like winter drags on forever and summer is over in the blink of an eye? Every year I come up with tons of fun summer ideas for the kids and then it feels like the summer just flies by and we only get to half of them. Since I'm a planner person by nature, this year I'm going to try to keep track of our summer plans, and give my boys a chance to help me decide what we're going to do each day. 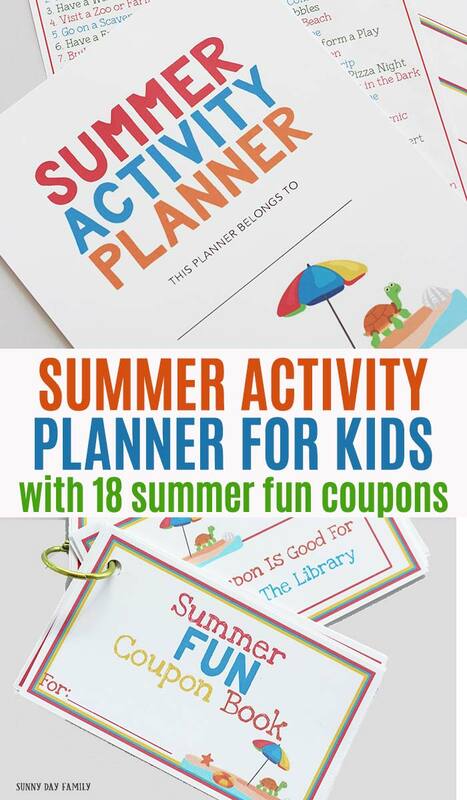 To help me along, I've got an awesome Summer Activity Planner for Kids that includes 18 summer fun coupons and I'm so excited to share it with you! Ready to plan your summer activities? Let's take a look inside. Weekly Planning Pages - with spaces for daily chores, daily fun, and family fun night ideas, you'll be able to fill each day with a balance of things you need to get done and ways to hang out and have fun. 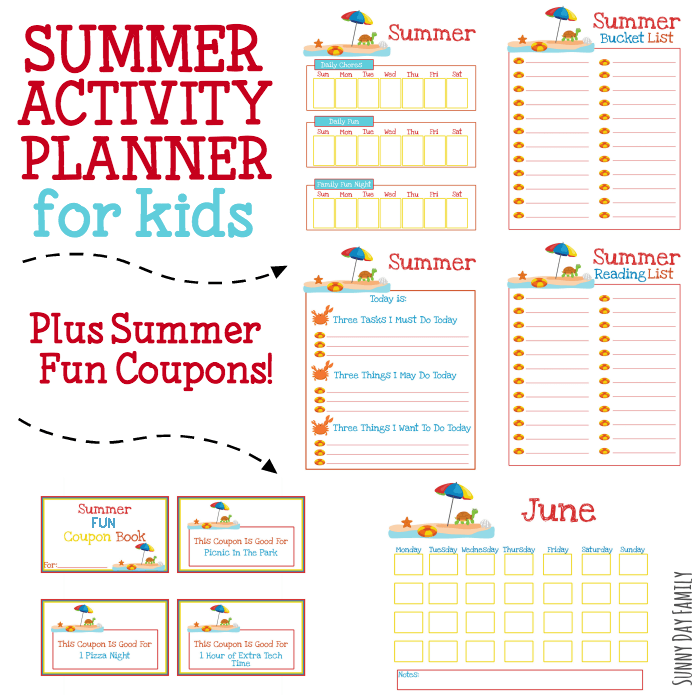 In addition to the printable planner pages you'll find 5 pages of summer fun coupons - 18 total! 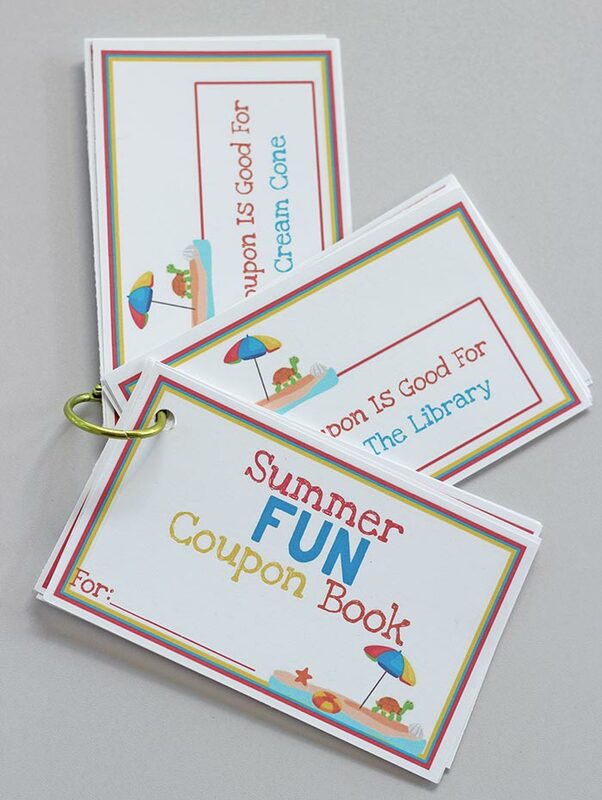 Use these printable coupons as rewards for summer reading, completed chores, or just for fun. Includes everything from a day at the park to an ice cream cone to a special date with mom. Print as many as you'd like for a summer full of fun! Daily To Do List - there are 99 days between Memorial Day and Labor Day! Print as many as you'll need to plan, I print them 30 at a time and go double sided to save paper. Coupon Book - print as many as you'd like! Cut along the lines and staple at the left edge to create your book. I've added our summer activity planner to my current organizing planner to keep everything in one spot (this is the binder I have and I love it!). I put our Summer Bucket List and Summer Reading List in front in page protectors. Then I have our Weekly Pages, Daily To Do List, and Monthly Calendars separated by dividers. Finally, I keep our coupon book in the front pocket for easy access. Need some inspiration for your summer activity planner? 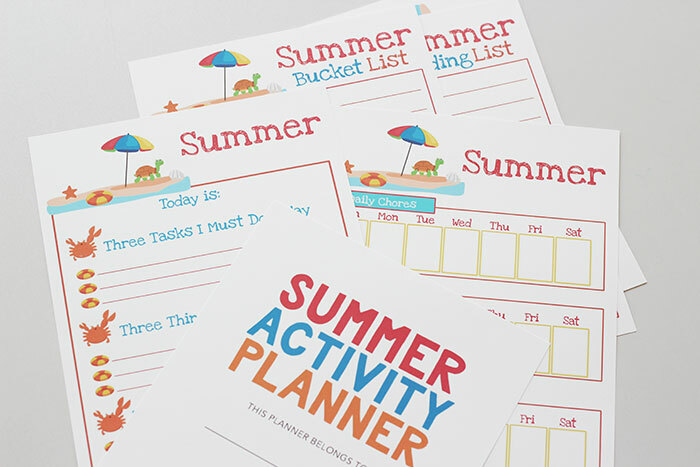 Grab our FREE printable summer bucket list with 50 fun ideas to try!